If you’re looking for a professional and experienced immigration lawyer, Matthew Jeffery, certified by the Law Society of Upper Canada, carries extensive skill in this field. The seasoned immigration lawyer Richmond Hill is always ready to help you with any immigration appeals, applications for permanent residence or visas as well as all other litigation matters. We know that the Canadian immigration law can be hard to comprehend that’s why Matthew has, for more than 20 years, helped clients throughout Canada and beyond in all types of immigration matters. If you’re looking to have your family join you in Canada, there’s a set of guidelines to follow and minimum requirements that you must fulfill as the sponsor. For instance, you must demonstrate to the IRCC that you have sufficient income to support the sponsored person upon arrival in Canada. You can sponsor a spouse, children, parents, grandparents, orphans, adopted children and other relatives to enter Canada. We can help you understand your options and provide guidance to increase the chances of your sponsorship application being approved. Renewing a Canadian permanent resident card can be a process. It’s even more frustrating if your application is rejected and you risk losing your permanent resident status. The IRCC requires permanent residents to fulfill their residency requirement to be issued another valid PR card. But there are of course exceptions to this rule. For instance, if you reside abroad with your Canadian spouse or partner/parent, that time will also be counted in your residency period which is two years in the last 5 years before renewing the PR card. We will help you understand what options you have to get the best outcome possible. 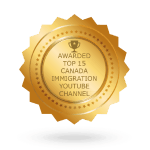 As a certified immigration lawyer Richmond Hill, we can help you enter Canada under any of the Express Entry programs. The skilled workers’ program is very competitive and you have to demonstrate that you are hardworking and possess exceptional skills and training in order to qualify. There are minimum requirements for enrolling into the program after which you can wait for the invitation to apply. We offer ongoing support and immigration advice to all our clients who wish to go this route. To become a temporary resident of Canada, you must fulfill the immigration law and regulations set by the IRCC. There are certain matters especially on health and security that must be evaluated before you are granted any of the temporary resident visas including a study permit, work permit or visitor visa. We will guide you seamlessly through your temporary resident application. After living in Canada for a number of years and completing the required residency period, it could be time for you to apply for Canadian citizenship. The citizenship application process can be tough given that there are numerous requirements you have to meet. First, you’ll need to fulfill the residency requirement which is being physically present in Canada for at least 3 years in a 5-year period. Secondly, if you are between 18 and 54, you must demonstrate that you have an adequate understanding of the English or French languages. You may also be required to pass a knowledge of Canada test and to have filed your income tax returns for at least three years in the relevant time period. 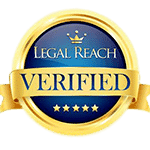 We have represented clients who have been refused entry into Canada due to different reasons. We have assisted immigrants facing deportation in their appeal cases. 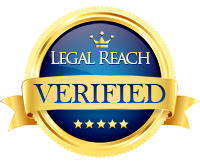 We can help you prove to the court that an error was made or that the decision was in some way unfair or unreasonable to our client. 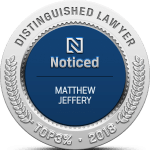 The Law Office of Matthew Jeffery is well capable of handling spousal sponsorship appeals, removal order appeals and residency obligation appeals. You may be inadmissible to Canada if you have criminal or legal issues. If you believe that you’ve been prohibited from entering or remaining in Canada unfairly, we can help you overcome inadmissibility. We will review your case confidentially and help you explore all your options. Our law office is more than capable of handling inadmissibility cases that involve criminal offenses, medical issues or misrepresentation. With a population of 185 000 people, Richmond Hill is a city on the rise. Well situated to take advantage of everything the city of Toronto has to offer, residents of the area are invited to consult Matthew Jeffery for all their immigration and citizenship inquiries. Located in the York Region of the GTA, it is the third most populous area thanks to a recent upsurge in population in the 1990s and early 2000s. In fact, Richmond Hill experienced growth rates up to and sometimes more than double the national or provincial averages. 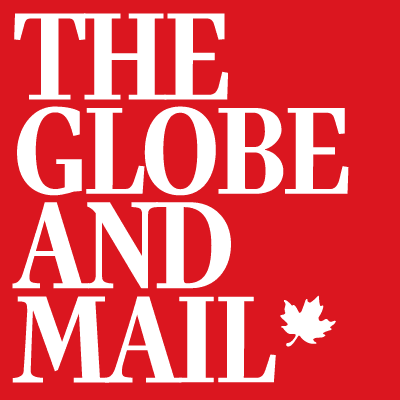 Highly multicultural, many of the residents in this area are members of visible minorities with only 40% of them having learned English as their mother tongue. With a high West Asian population, it is a popular immigration destination, particularly for affluent immigrants. Featuring many green spaces including parks, 544 hectares of undeveloped land, and a host of tennis courts, swimming pools, and golf courses, this municipality is a great place to raise a family. With a cozy, small town feel and many local events, Richmond Hill is also home to many corporate headquarters including DMC Mining Services, Rogers Communications, Compugen Inc., Lexmark, Staples, Compuware, and BMW Canada. Employment opportunities include business, industry, healthcare, and finance jobs. For immigrants seeking Work Permits, P.R. Cards, or information about citizenship and appeals, or any other immigration services, Matthew Jeffery’s immigration law office is just a short drive away and we would like to welcome you to give us a call today at 866-886-8014.